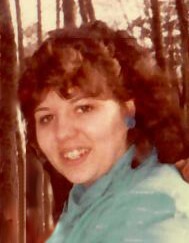 Lisa Leduc, 55, of Woonsocket, died October 21, 2018 in Landmark Medical Center, Woonsocket. Born in Woonsocket, she was the daughter of the late Leonard A. and Lea (Moison) Leduc. Lisa had a great smile and could light up a room with her infectious laugh. She is survived by her three children, Lance Leduc of Putnam; James Morgan of NC; Lea Morgan of New Bedford; and a brother, Leonard E. Leduc of Woonsocket. Private services have been held. Funeral arrangements are under the direction of the Holt Funeral Home, 510 S. Main St., Woonsocket.